Great real estate has tremendous media value. 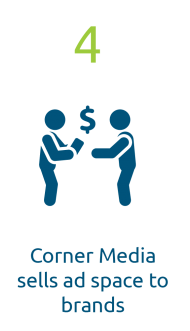 Corner Media helps you monetize your portfolio by transforming unused spaces into sources of advertising revenue. Our location-based digital displays and innovative outdoor advertising solutions generate additional revenue and help you brand your property as a vibrant and connected destination. We help offer your tenants a way to reach their best customers and transform your property, where traditional meets digital. The country’s leading property owners, including Federal Realty Investment Trust, KIMCO, Petrie Ventures Inc., Parking Management Inc., Regency Centers, and The JBG Companies, partner with Corner Media® to grow traffic, attract advertisers, and generate new revenue. Corner Media’s digital displays give you visibility into meaningful data about the people frequenting your property – from demographic data to mobile behaviors. Our screens also serve as a powerful, efficient method of communicating with your visitors through beautiful full-motion ads. You have access to media space to promote events and provide information to your visitors. 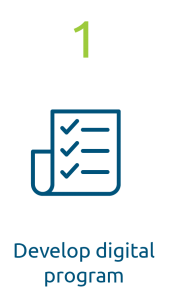 And because we provide 24/7 operational support, we can make updates to promotions and directories in near real-time. 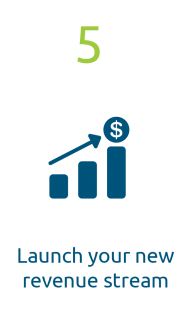 Ready to create new revenue?